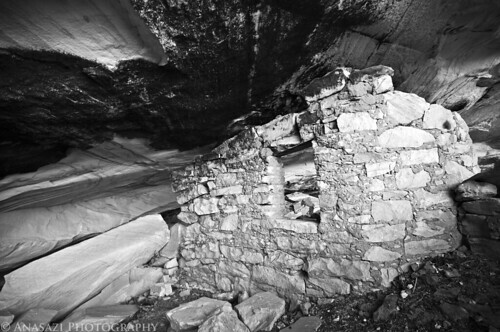 Let’s take a break today from my Arizona trip photos so that I can post up a photo of a ruin. I visited Cave 7 back in January of this year, and it was an amazing experience. For those who are unfamiliar with the history of Cave 7, check out this trip report on my blog that has a little bit of information and history on the site. This is the remaining wall of a structure that was built in part of the very large alcove.